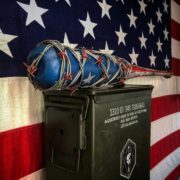 Betsy the Freedom Bat. 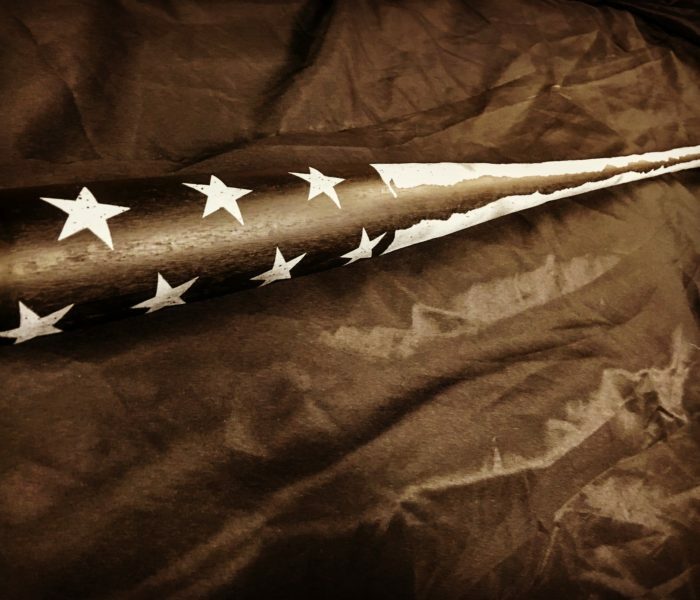 Own your own custom Cerakoted piece of Americana. 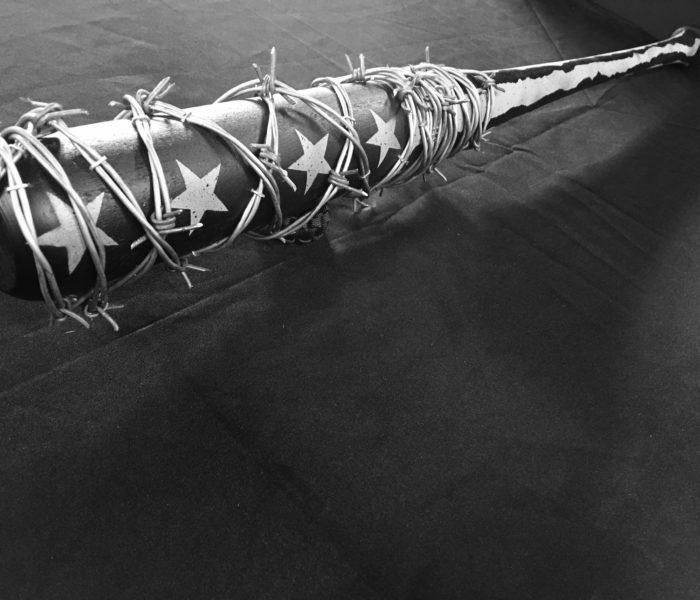 The Praetorian Ventures Betsy Freedom Bat is a mix of art and pure brutality. 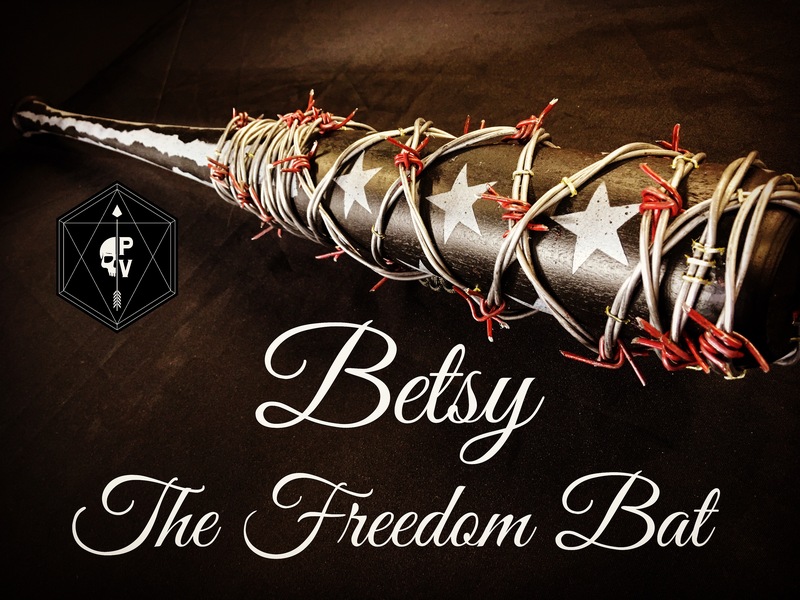 Made from American ash wood and US steel barbed wire Betsy weighs in at over 4 pounds and 32-34″ long. 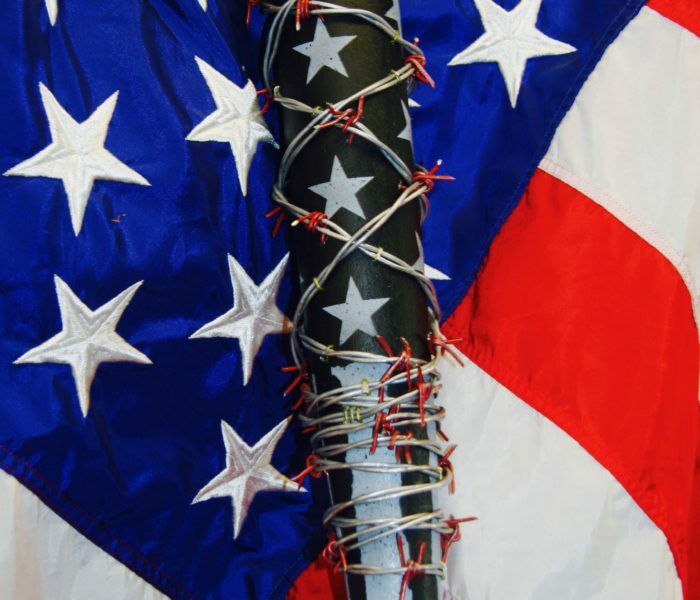 Betsy is not a toy or a cheesy prop bat, she is pure American Savagery. 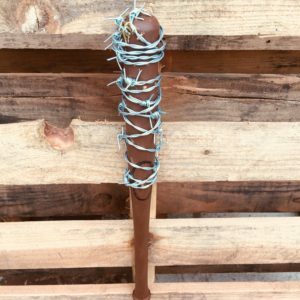 *Each Betsy is custom cerakoted and one of a kind, please allow 3-4 weeks for us to get her to the post office for her journey home to you. 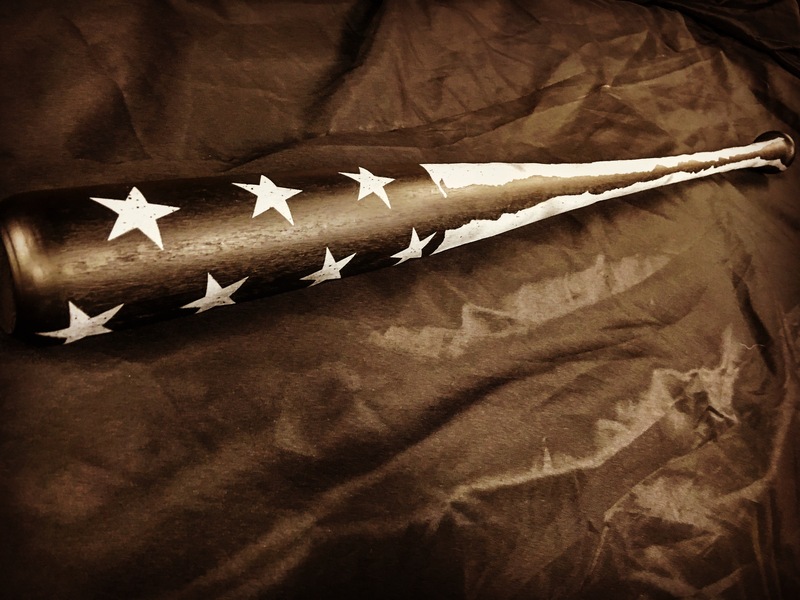 Own a one of a kind Betsy Freedom Bat. 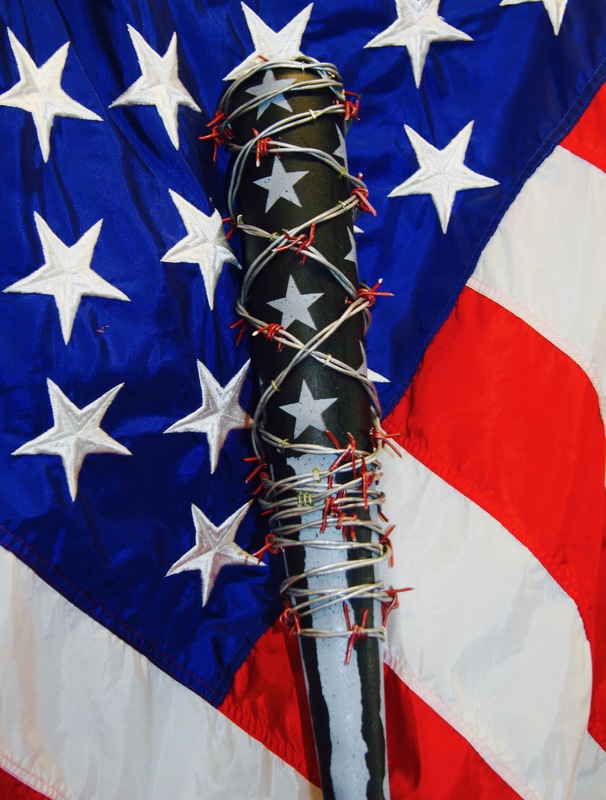 We love America, so we have created a tribute to our great Republic. 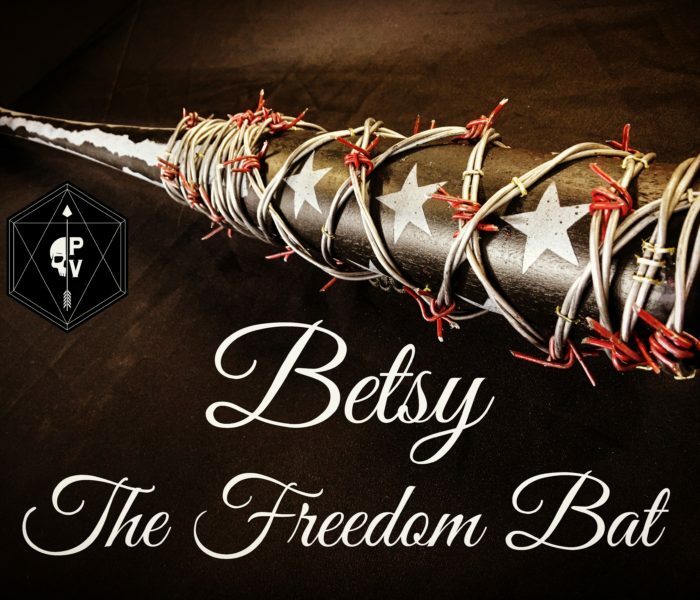 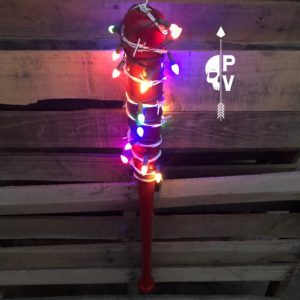 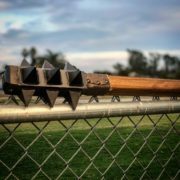 Betsy is made with an authentic American made wooden baseball bat hand wrapped with USA red brand barbed wire. 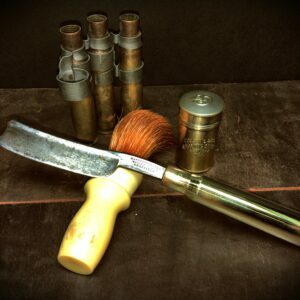 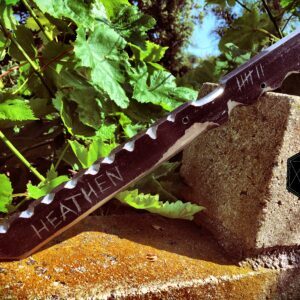 Praetorian Ventures is Veteran owned and operated in Huntington Beach, California. 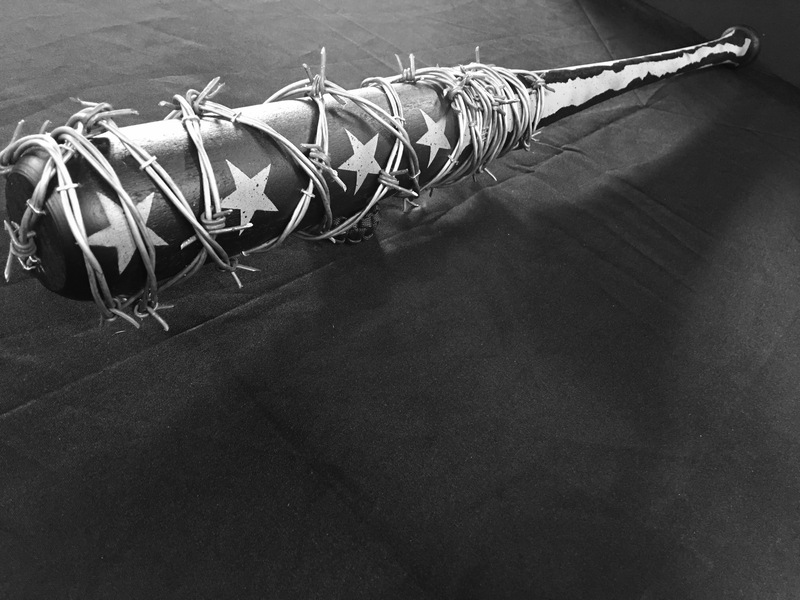 If your Betsy is a gift, please write the name of the lucky recipient in the notes section on checkout. 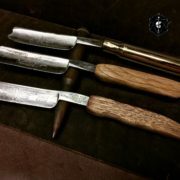 *Because each Betsy is handcrafted and one of a kind, please allow 3-4 weeks for us to get her to the post office for her journey home to you.